Roofs are not just the skin on top of the building. They are a home’s first level of protection from both natural and man-made interventions. The roof that works so hard throughout the year deserves to be monitored and cared for regularly. Read on to gain some useful information about roofing in San Antonio as the most popular misconceptions are debunked. Quite contrary to this popular believe, investing in roof repairs as soon as the damage is detected helps to save money. The more the damage, the higher the repair costs. 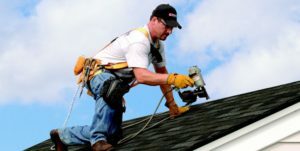 Smaller roofing repairs in San Antonio can be fixed in a shorter time span thus saving substantially on the labor costs. Damaged shingles must be completely removed and then replaced with a layer of new shingles. During this process the underlying layer of wood sheathing must be inspected for damages that may have occurred due to leaks from the broken shingles. There is plenty of choice when it comes to Asphalt shingles and the choice is based on the weather conditions of the home location. For instance, there are algae-resistant shingles and then the ones that can withstand hailstorms. In general, the fiberglass-reinforced shingles are reviewed to be more durable. There is no proof to reinforce the statement. While the temperature and color of the shingles change when radiant barriers are installed, there is no particular reason to report an adverse effect on their performance.